“There is no need for more production," Hosseini said. Hosseini added that Iran is ready to convert all its existing 20-percent enriched uranium to fuel rods for its research reactor. 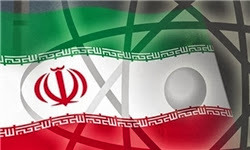 Hosseini said the moves to stop 20-percent enrichment and converting the existing stockpile into fuel rod, which would be useless for the production of nuclear weapons, would “remove concerns over the non-peaceful nature (of Iranian nuclear program). Tehran reportedly offered to halt 20-percent enrichment during the recent talks in Geneva as part of an agreement to end a decade of impasse over its nuclear program. However, it was not announced that the country has already stopped the 20-percent enrichment program before striking a deal with the West.